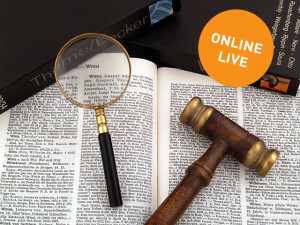 live in the auction, no matter whether you are at home or on your way. Participants may register online up to twenty-four hours prior to the auctions. and bid along for items of your interest. Initally, you have to register at Lot-tissimo and than connect to the auction. Please note that there are seperate conditions for live bidding. the demand for a copy of your identification card with the confirmation. For the usage of the online service the premium raises by 3%. You do not need to register as a live bidder if you only want to follow the auction live online.